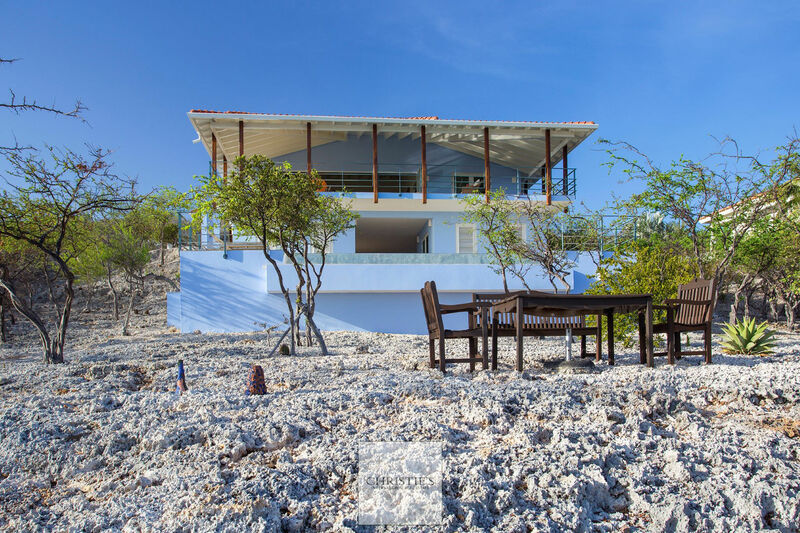 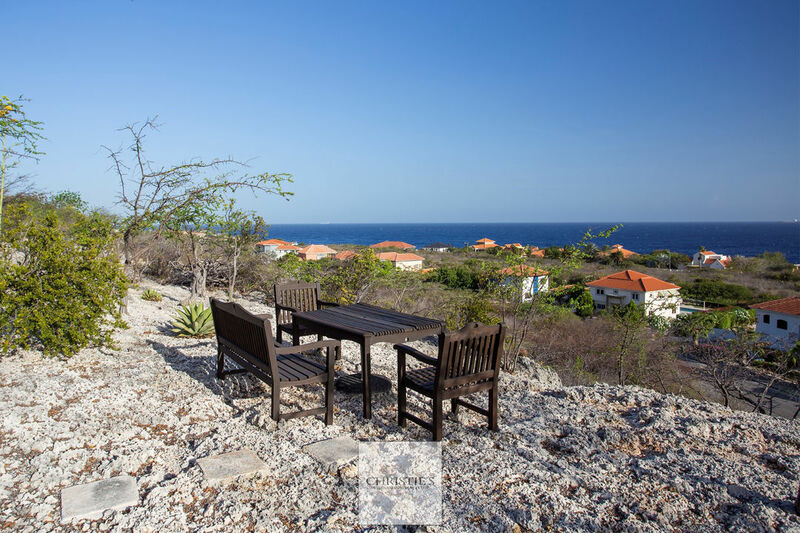 This beautifully finished villa combines the best building materials with the unique vegetation and natural elements from Curacao. 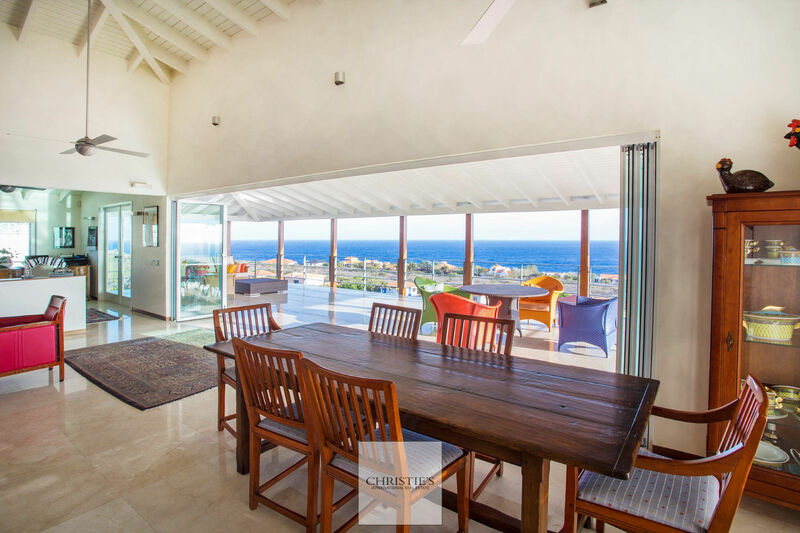 This exclusive villa, built in 2008 under the architecture of Anko van der Woude, is a real piece of art. 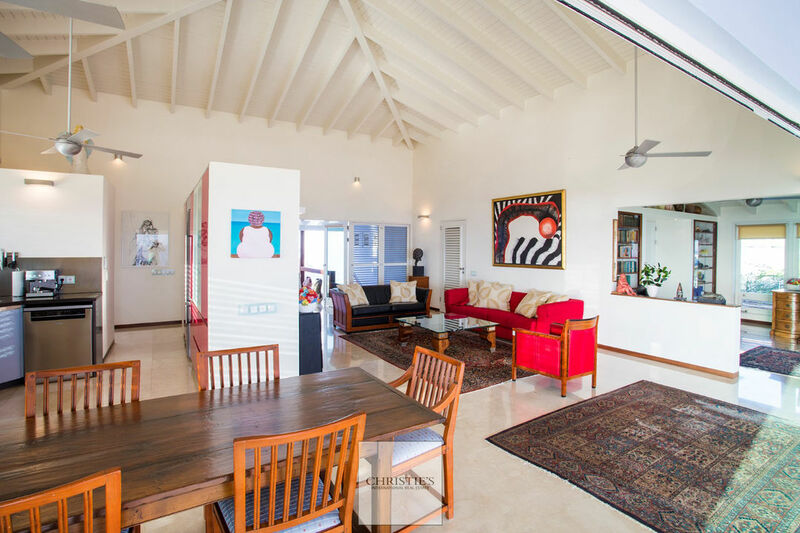 The spacious living room with beautiful high ceiling has French doors to the terrace. 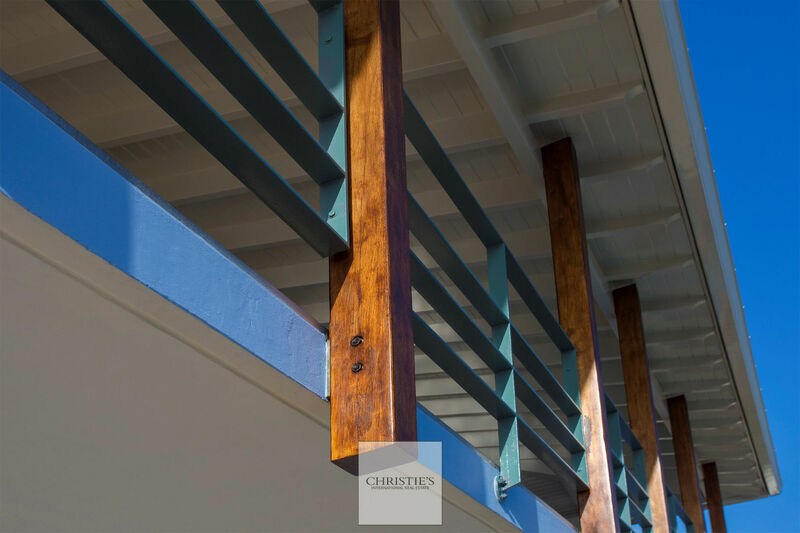 Because of this, the outdoor life is brought naturally into the house. 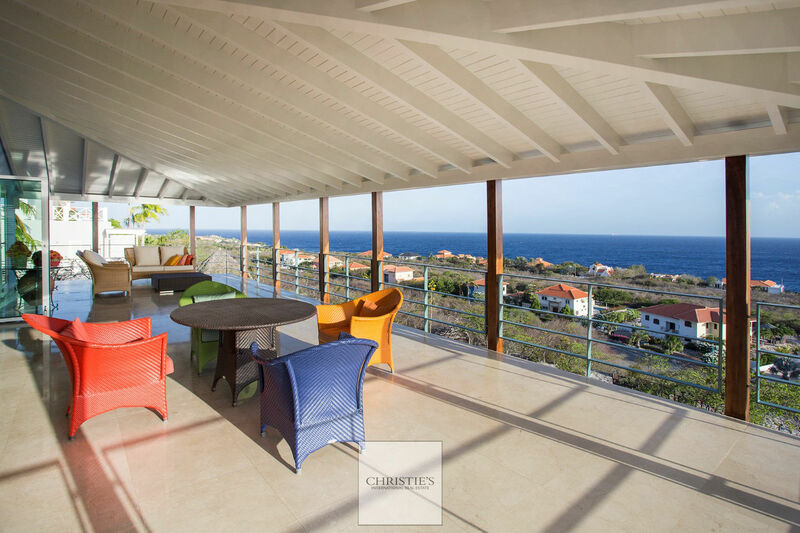 The panoramic view over the Caribbean Sea completes this feeling. 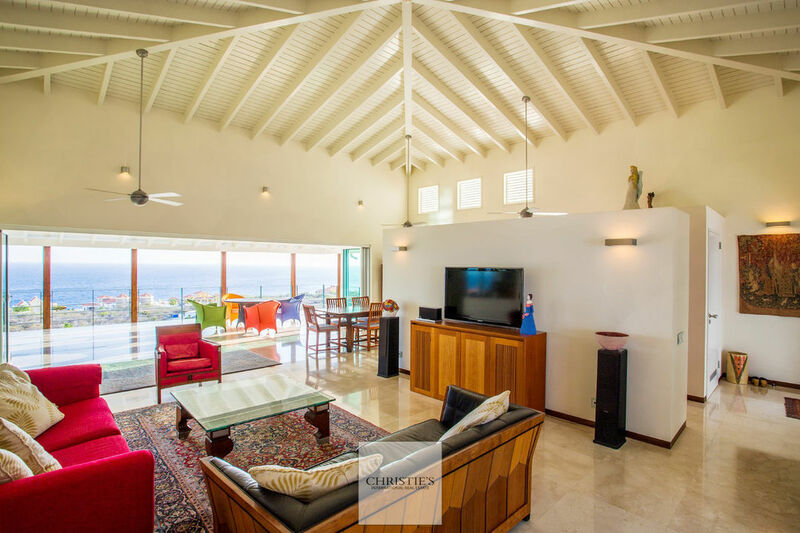 The beautiful open living area has a living room, a TV room, and separate dining area. The semi-open kitchen connects nicely with the living area of the house. 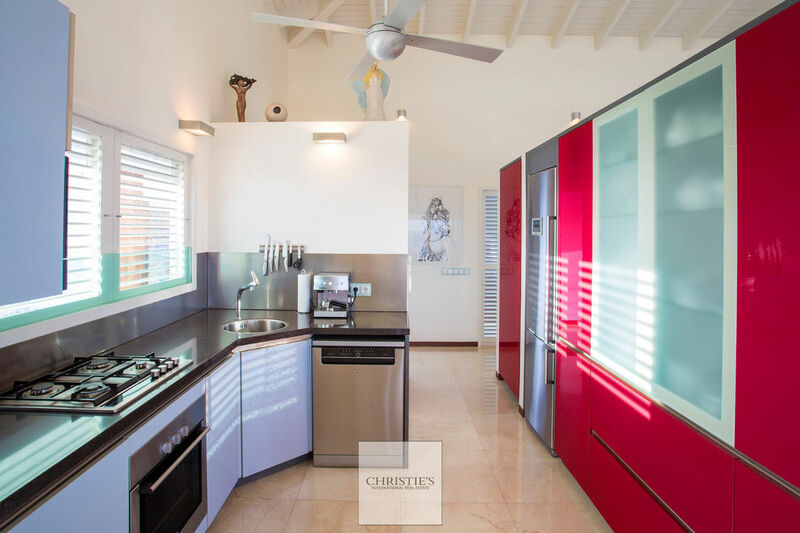 The red high-gloss cabinet wall contrasts exceptionally stylish with the light blue kitchen with black granite counter top. 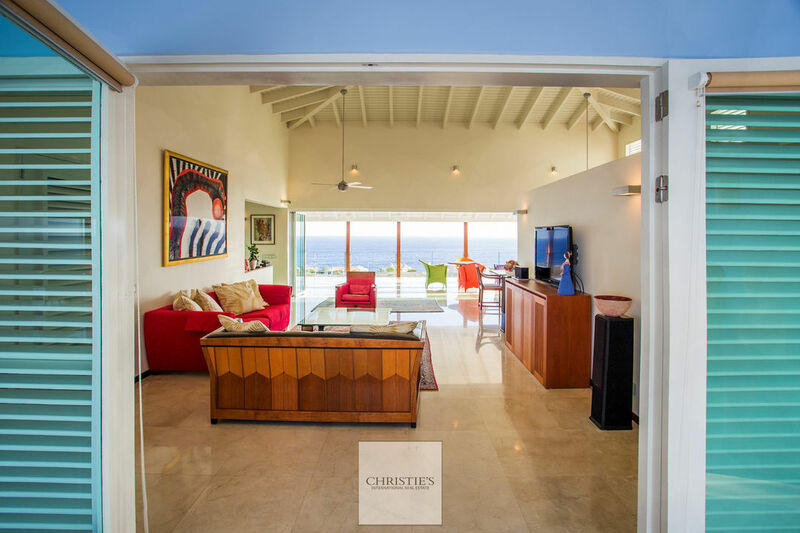 The kitchen is fully equipped with luxury appliances. 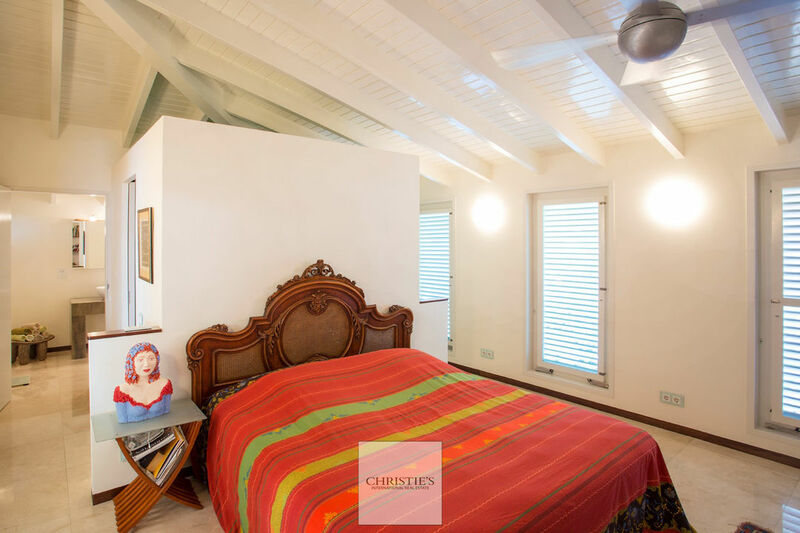 The spacious bedroom with large closet mitt, high ceiling and shutter windows has a direct connection with the bathroom and walk-in closet. 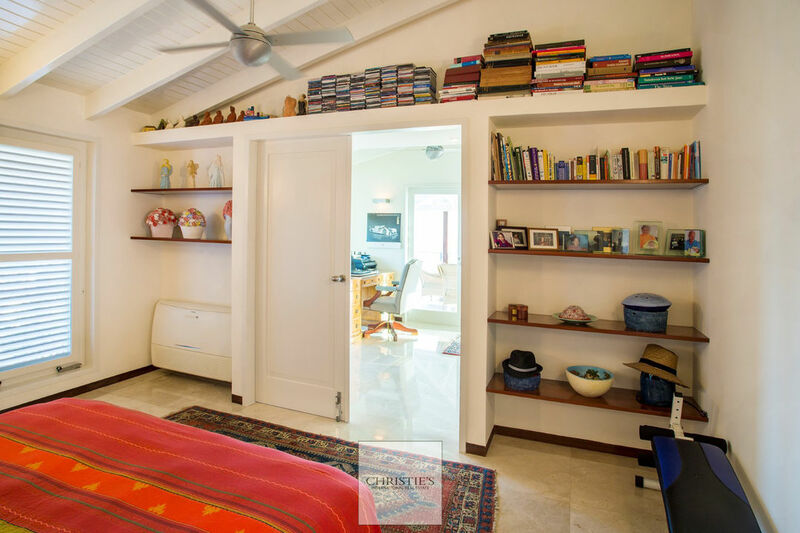 Guests enjoy their own guest house with a living-dining room with kitchen, bedroom, private bathroom, and walk-in closet. 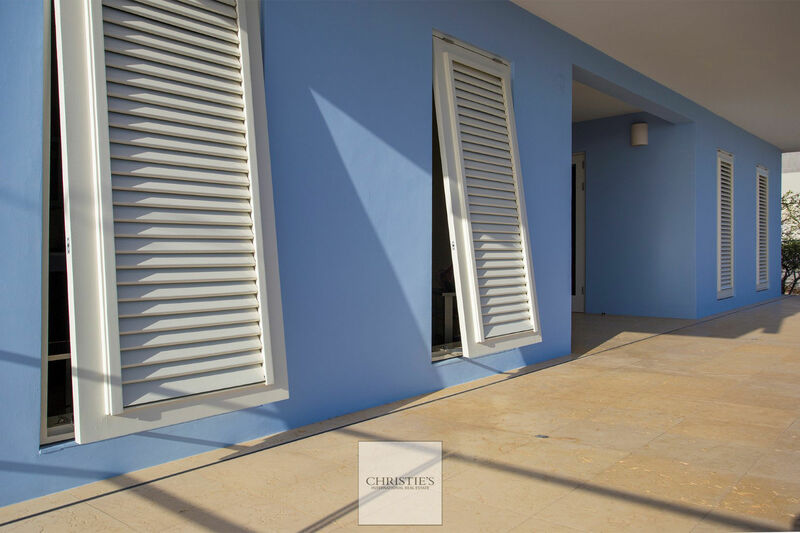 Because of the shutter windows, the wind regulates well throughout the guest house. The unique garden of this villa is of the original islands ground of coarse coral and the native, high growth vegetation. 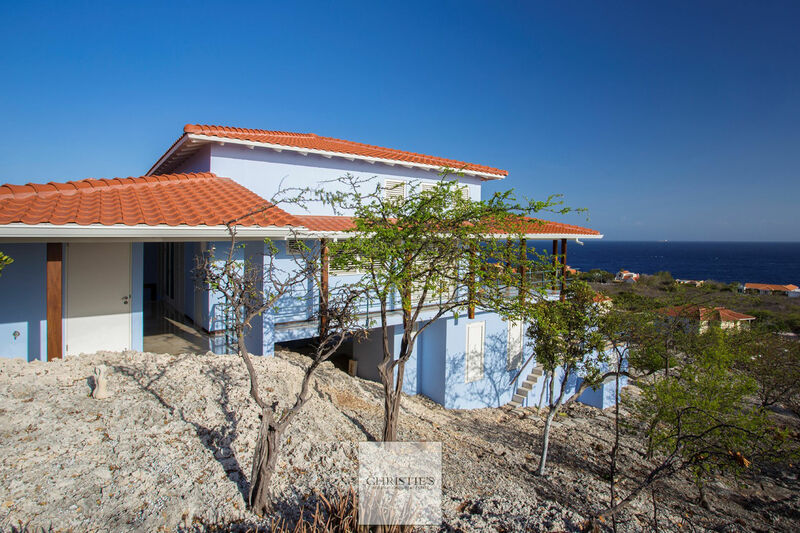 The stairs to the lower floor look carved out of the house. 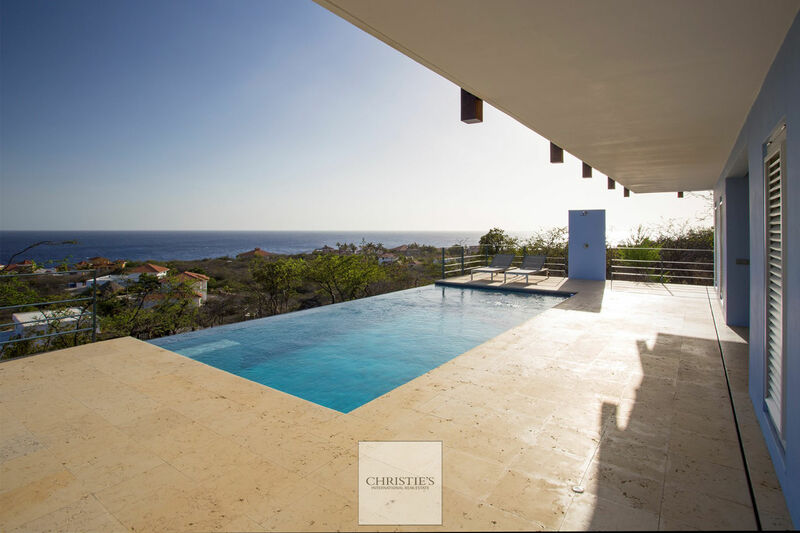 Here lies the beautiful swimming pool with the same panoramic view over the Caribbean Sea. 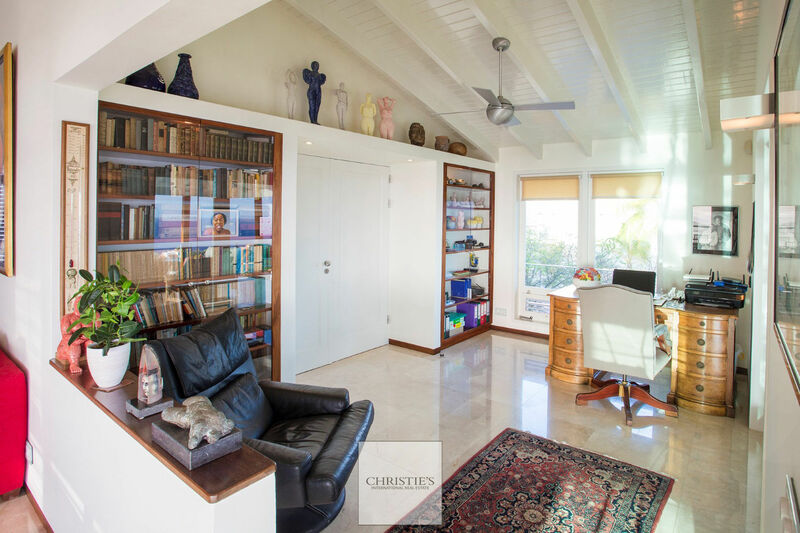 This house has a separate double garage, laundry room, and storage room. 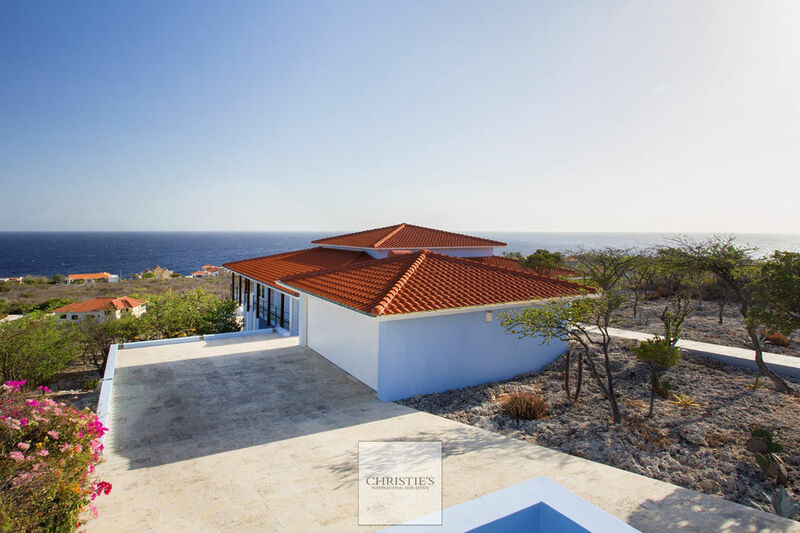 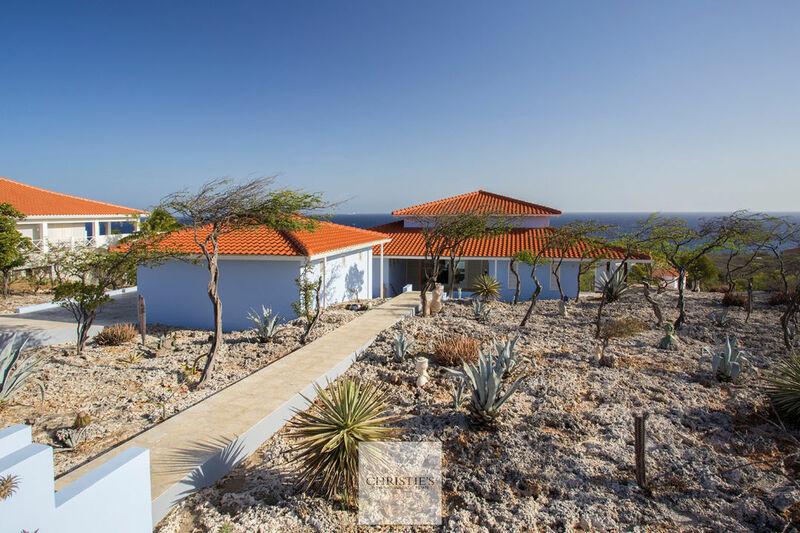 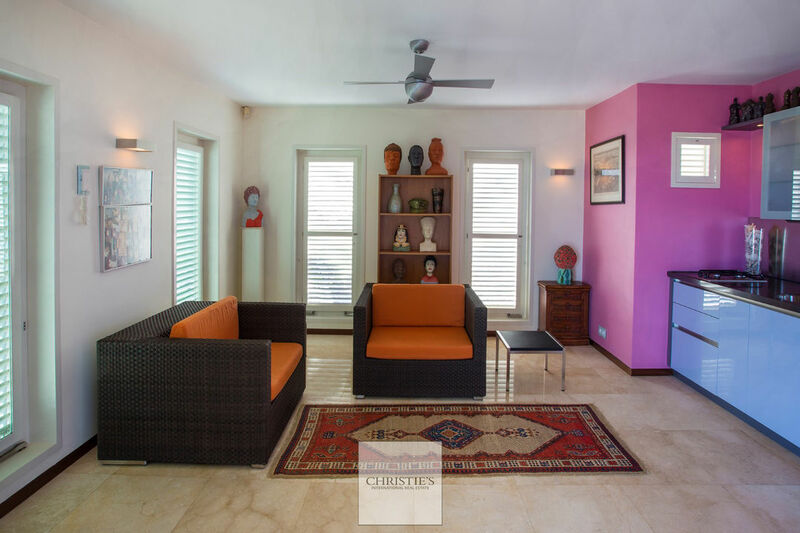 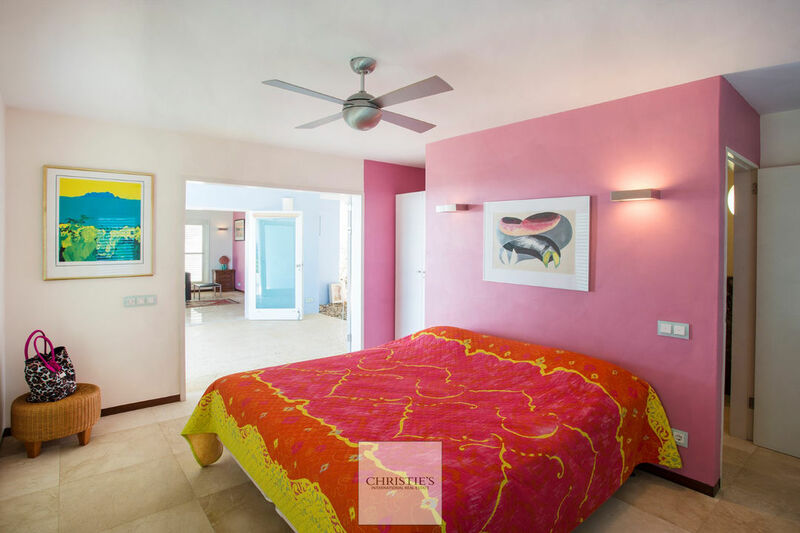 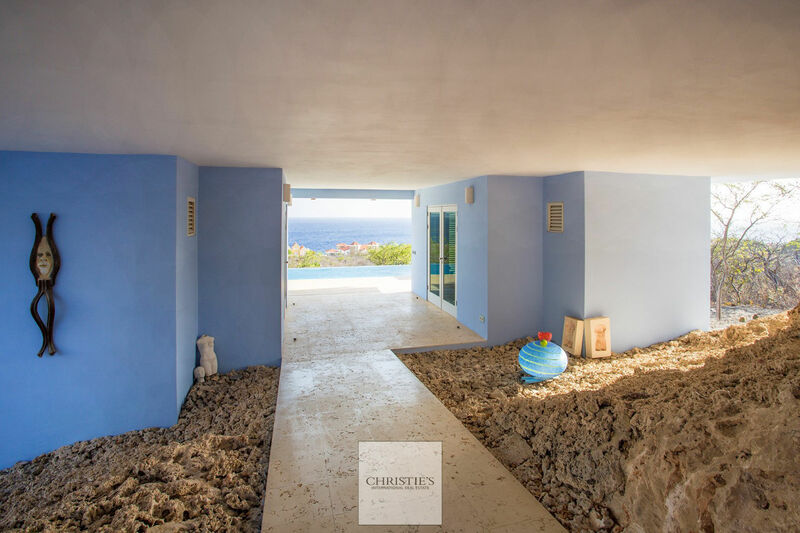 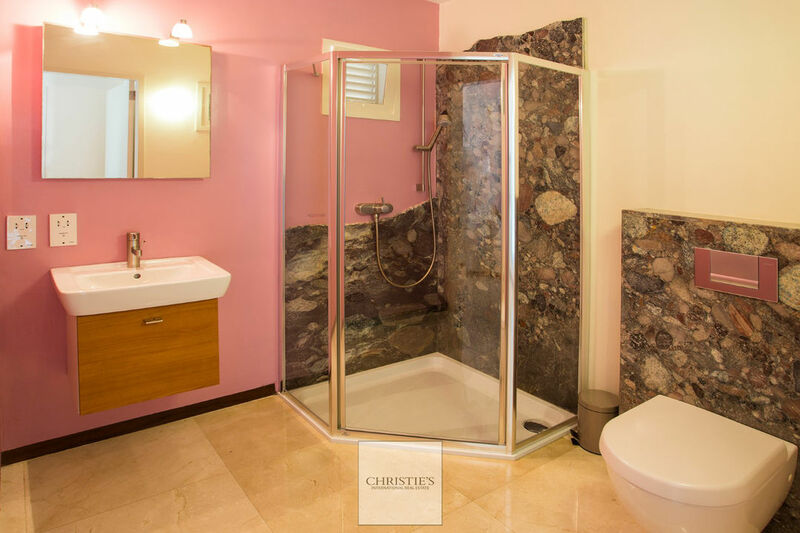 This unique villa is located in one of the most beautiful resorts on the West side of Curacao: Coral Estate (Rif St. Marie). 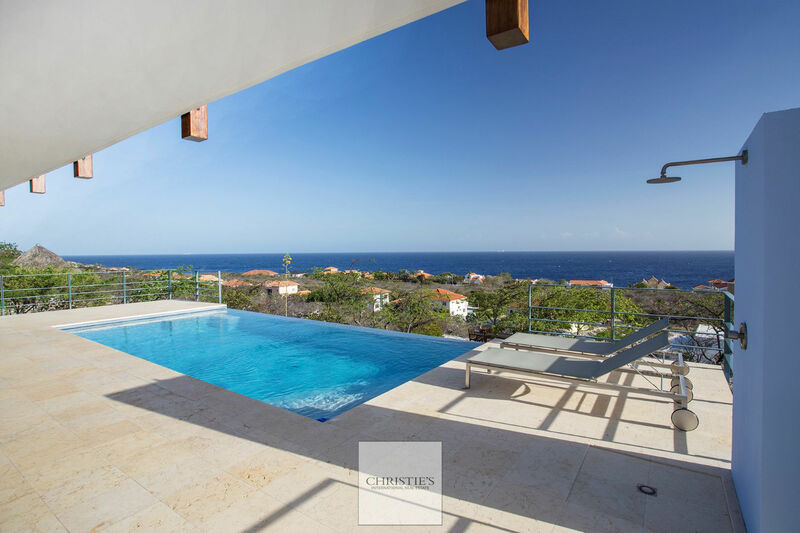 An oasis of peace, privacy, and natural beauty. 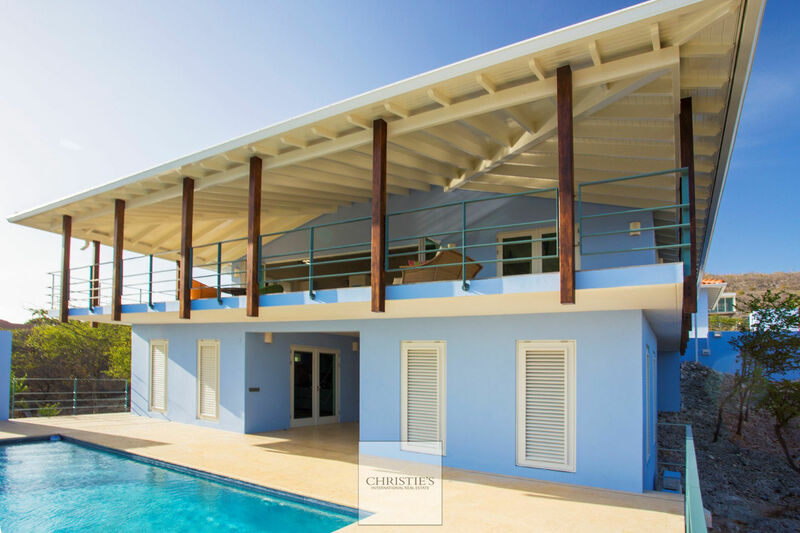 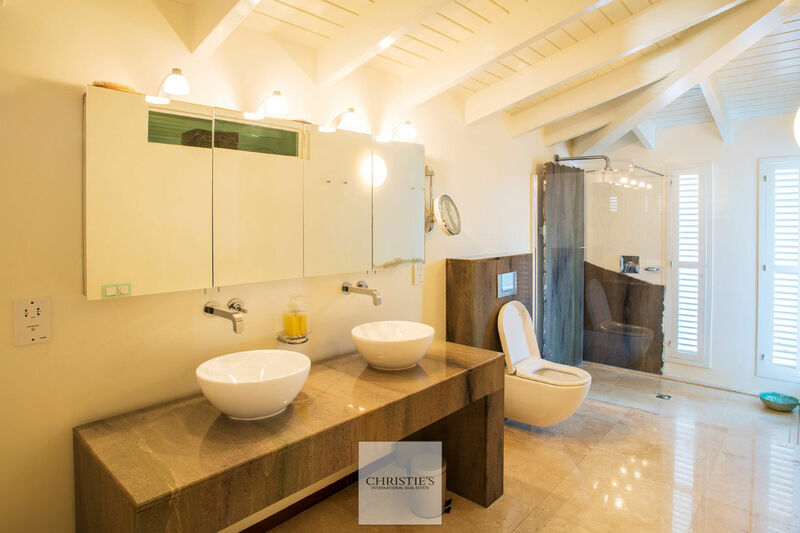 Who is looking for a villa built with vision, love and the right kind of quality materials: this is your place!